I can be a sucker when it comes to video equipment. The new product sounds like its going to bridge the gap between me and the next big opportunity. 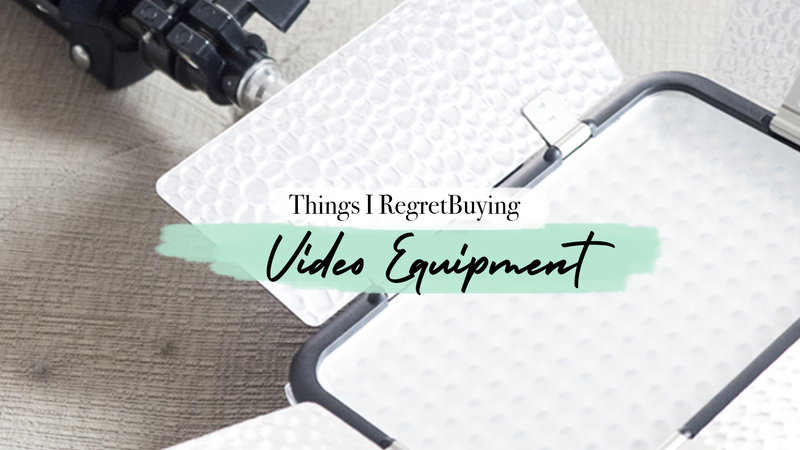 Many times video equipment can be over promising, taking your money and leaving you with useless junk. 2. Camera stabilizer – I found they are uncomfortable and not so fast to set up to use. I didn’t notice a difference with my camera stabilization enough to use it. 3. Portable Jib – The cheap plastic it’s made out of couldn’t take the weight of my camera even with counterweights. 4. Difficult lighting set up – the difficult soft boxes to put together made me permanently leave them up which took up a lot of room. 5. Cheap plastic lenses – your photos will never look sharp and professional until you invest in a glass lens. 6. Difficult to use Stock Library – having to download third-party apps and constantly login didn’t make it worth using the stock library.